Marketing is Fun, Differentiation is Hard. Part 2. – StratGo Marketing. Plug-in marketing department services. Marketing is Fun, Differentiation is Hard. Part 2. This is part two of a three-part series on marketing differentiation. Today, in Part 2, we take a look at global hotel brand Mama Shelter, and how its founders are putting a different spin on the US boutique hotel business. 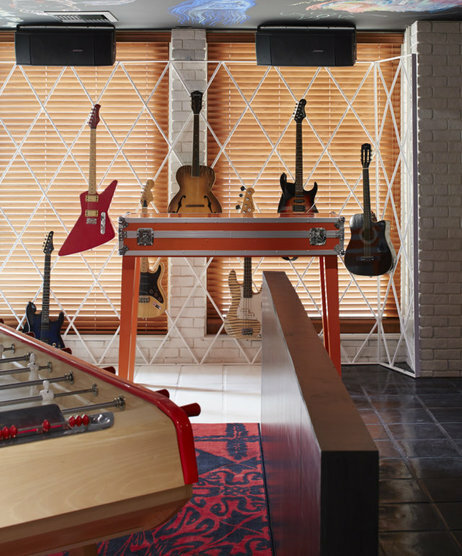 The Mama Shelter hotel brand is an example of both marketing differentiation and a global-brand applied geographically. To begin, the name is not what you’d expect from a hotel brand: it’s cool and attention-generating. “The hotel’s name is meant to evoke warmth and a communal feeling, distinguishing the brand from what the owners felt was a ‘too cool’ vibe at many sleek boutique properties that attract a stylish crowd,” explains Wall Street Journal reporter Craig Karmin. The hotel operators take a different design and decoration approach. It’s part of the Mama Shelter branding and at the same time creates buzz and engagement in the local community: black chalkboard ceilings in public areas are decorated by local artists. Bar at Mama Shelter, Los Angeles. Credit: Mama Shelter. Mama Shelter began in France, and has four locations there today: Bordeaux, Lyon, Marseille and Paris. Istanbul is the other European locale. 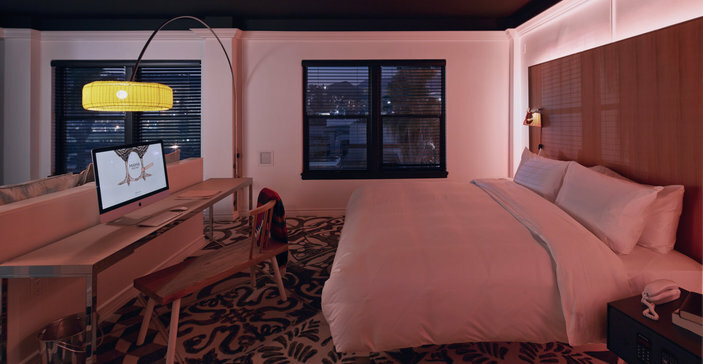 The first USA hotel opened this month in Los Angeles. Pricing seems reasonable for a boutique hotel in a major US city. A check of the Mama Shelter website showed pricing mostly in the $159 to $179 range, with a low of $149 and high of $219 per night. Room at Mama Shelter, Los Angeles. Credit: Mama Shelter. “Guests would watch it anyway on their computers or phones. Why not let them use a bigger screen and have a better viewing experience?” (Benjamin Trigano – Craig Karmin interview – WSJ). Bar area at Mama Shelter, Los Angeles. Credit: Mama Shelter. And, there’s free WiFi to share Mama Shelter on social media. But maybe not all the experience. ← Marketing is Fun, Differentiation is Hard. A 3-Part Series.